He has a web site, but he’s not a blogger. It may sound obvious to point that out, but I keep reading news stories and commentaries that discuss, for example, how “blogging” is making traditional media obsolete or something… when in fact they really mean to say “the web” is revolutionizing media and communications. Next time you write (or read) something about blogs, try mentally replacing the word “blog” with “web site” and see if it changes the meaning of the idea. Are you talking about a regularly-updated, personality-based web site with certain specific features like comments, rss feeds, blogrolls? Does the site or sites in question even call themselves blogs? Are you even talking about web sites at all, or are you talking about instant messaging and file sharing and other non-web technologies? If not, then you should probably just use the word “web site” (or “message board” or “social network” or “news aggregator” or even just “the internet”, whatever the most appropriate term might be). Sure some of these sites have blogs, but they are not blogs. They are each something else first. In some cases “what they are” is something entirely unique and innovative, and it is precisely this multi-faceted phenomenon of functional innovation on the internet that is the really salient reason why the web is changing everything. It’s all a muddled mess. What’s a blog? What’s a column? What’s an editorial? What’s a social network? What’s Web 2.0? It’s all a bunch of loosely defined buzzwordology (dibs on the trademark) that gets thrown around in an attempt to make sense of the chaos that is the web. I’m not trying to nit pick the definitions of what is or isn’t a blog. Drudge is an edge case, I’ll admit, but there is soooo much else going on on the internet that has nothing to do with blogging. Oh, for sure. What I meant was that it’s just so hard to fit everything into neat little definitions. Some sites are clearly blogs. Others, not so much. Amen brother. 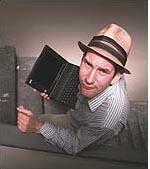 Drudge gets “quoted” or name dropped all the time like he is the greatest thing since sliced bread. Any 6th grader with a PC could compile stories on a daily basis just like Matt……and probably have a much better looking site at that. Blogs are blogs. Websites are websites.